Parking is available in marked spaces on the south side of the building and on adjacent streets. 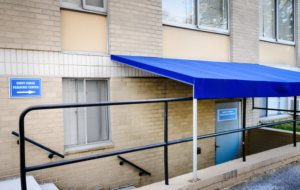 The office entrance is off the driveway on the south side of the building under the bright blue awning. 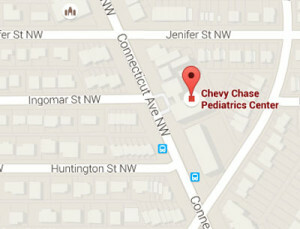 The closest Metro station is the Red Line Van Ness/UDC, one mile south of the office on Connecticut Ave. The L1,2,3,4 buses go up Connecticut Ave and stop at Connecticut and Ingomar. The office is open Monday to Friday from 9am to 5pm. The office is closed for lunch from 12:30pm to 1:30pm, but a nurse is always available for emergency calls. 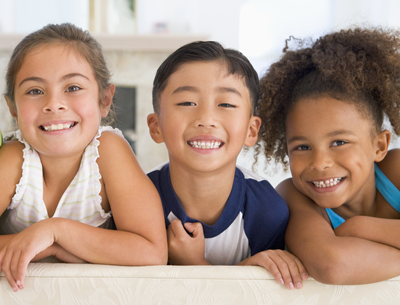 The office is also open for sick visits on Saturday mornings from 9am to 12pm. A list of morning call hours and after-hours contact information can be found on our Phone Services page. 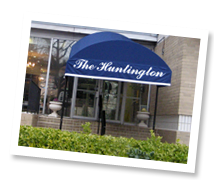 The office entrance is under the blue awning on the lower level of the Huntington office building. If you are looking at the front of the building, it is on the right side of the building, just off the driveway. Look for the blue signs. Need to call the office? For a complete list of phone numbers see our Phone Services.